A just the facts summary breakdown, no partisan spin. Here is a report of quotes and words from President Obama's first State of the Union address on January 27th, 2010, to get you up to speed in under four minutes. All this in four minutes, no spin, no rhetoric. There is no better time to be Buying First Home. The Federal Government has extended the first time home buyer's credit to those that have lived in a home for the past three years. This is an excellent time to use the extra motivation of a tax credit to move you into a new home. There is still no investment in this country like home ownership. You can live in it, build equity, and feel proud of your investment. Coldwell banker helped me get into my new condo in April, and I am ecstatic to get my tax credit very soon which will help pay a few months of the mortgage for me. It is an exciting time to be in the market. Prices and interest rates are at all-time lows. Now is definitely the time to get yourself into a new home, you will be glad you did. Find out more about the tax credit today and good luck hunting for your new home. $8,000 credits for new buyers will not last forever, this is an incredible opportunity for you and your family. Let a Coldwell professional start you out on the right path today, and be on your way to owning a new home. ___________________________________________________ Subscribe to this podcast free on iTunes! January 19th, 2010 showcast with Danny Hauger and Matt Vidovich. Thanks to everyone that watched the Showcast and chimed in, here's the showcast on Haiti, the tornado, Pete Carroll, Avatar, Leno, and Conan. Be safe out there and drive carefully if you're going out on the roads. If you missed our 8:30 PM Showcast tonight,we recorded live on the web. Tune in right here for the podcast and webcam (high definition audio next week). If you carry a gun, you need to be safely trained and know the law in your state. Force Training Systems can help you understand safety through Training Classes, The No-Carry Directory, and Informational articles. Check out their website today and be safe. If you click through my article, whether or not you read it, Associated Content will match about one cent for each visitor. It's a way of giving back in small amounts to make a difference on top of your charitable giving. Let me start with a bit of 2009 thanks. 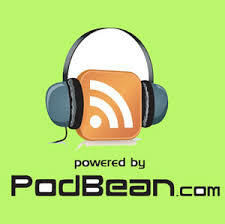 Thank you to Podbean.com for renewing another year of podcast sponsorship. Second, check out my Associated Content Articles, I have recently been named a featured Arts and Entertainment Writer, and would like to thank AC for the new opportunities. Finally, contact me if you have ideas, comments, advertising queries, or questions. From the live concert January 6th at the Blue Cafe in Huntington Beach. This was the closing song to the concert, also enjoy these two videos form the show. Thanks to everyone who showed up to support. Featuring accompaniment by Gary Young. Recorded by Brett Parmenter. Booking by Amy Talaska. January 5th, 2010. Enjoy Episode 2 of the Showcast. I called into The Drive with Jeff Biggs, who hosted a tremendous tribute show to Rory Markas, the late Angel's broadcaster. I wanted to post this to share with the world, one brief memory I had with Rory recently. Rory Markas was 54 years old. Rory Markas (1955-2010) was found dead in his Palmdale home yesterday. Rest in Peace Rory, you were a passionate man and a wonderful broadcaster, and my condolences to your friends and family, I will surely miss working with you. Rory was a professional and a one of a kind broadcaster. The most recent time I ran the board for Rory was on Christmas for a USC basketball game in Hawaii. As I cut in,which you can hear from this clip, Listen to the tribute here. Rory had to begin his broadcast sitting down on the floor, because the previous game was still being played in the tournament. The mental image of Rory still holding down a pre-game show underneath a desk made me realize once again what a professional broadcaster should be. Humorous, willing to go at any moment, and positive through anything. Thank you Rory for your brilliant work.